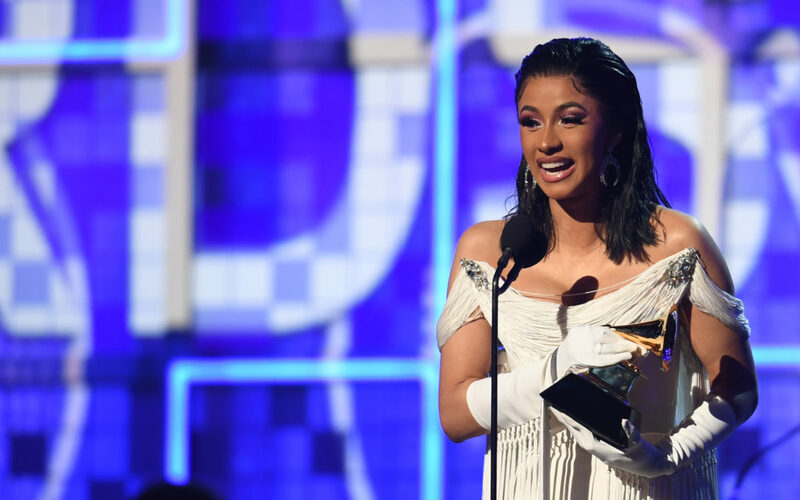 Cardi B Becomes First Female Solo Artist To Win Best Rap Album At The 2019 Grammys! The rapper made history Sunday night as the first female solo artist to win the major award at the 2019 Grammy’s. Cardi B made history Sunday night with the first Grammy win of her career. The rapper took home Best Rap Album for Invasion of Privacy, the first time in Grammys history that a solo female artist has won the award. Cardi is only the second woman to receive the honor; Lauryn Hill took home the award as a member of The Fugees in 1997 for the group’s album The Score.